17-year-old Scott Firth is looking forward to playing for Stephen Hart in front of family and friends for the Wanderers. 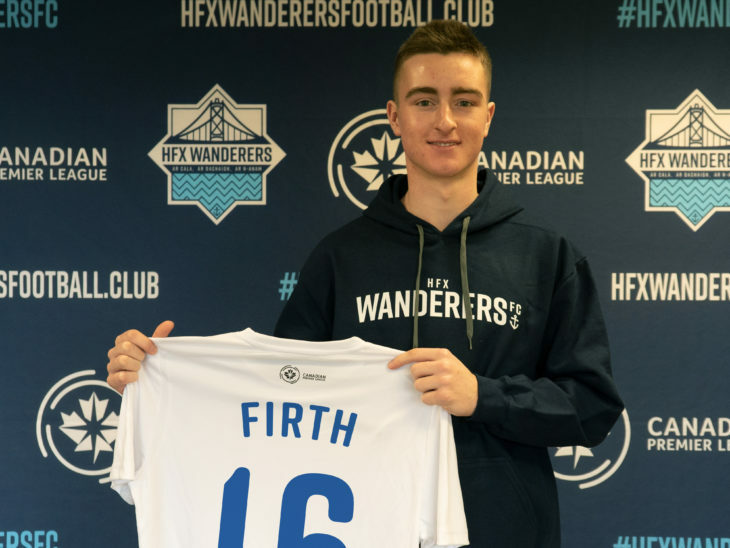 HFX Wanderers FC are pleased to announce Scott Firth as the first Halifax-born player to sign for the club. 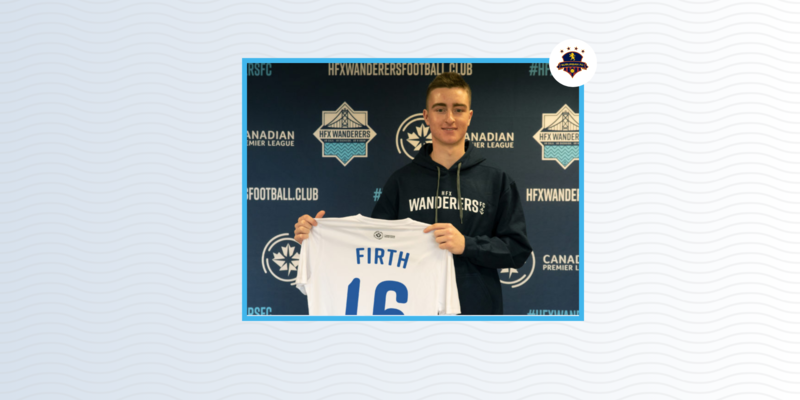 Firth is making history as the first hometown player to join the Wanderers, who are building a team for the new Canadian Premier League. Still in Grade 12 at high school in Fall River, the 17-year-old is signing for the club as another young Canadian player the new league is designed for. 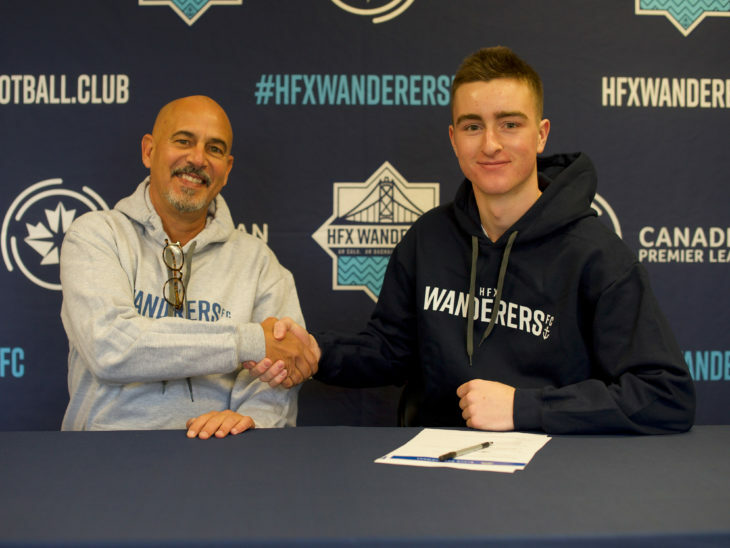 After making club nationals with local team Suburban FC three times — in addition to three first place finishes at the Atlantic championship for the Nova Scotia provincial team — he’s a player Wanderers coach Stephen Hart has monitored for some time. Scott Firth is a former captain of the Nova Scotia provincial boys team and three time winner of the Atlantic Championship. Hart has watched Firth up close a number of times, first during guest coaching appearances for provincial programs, and also while keeping tabs on him when playing for Suburban FC. “He is a young player but this is his chance. This league is about finding that potential talent and providing the opportunity where their game can grow,” Hart said, pointing out his assistant coach Michael Hunter deserves a lot of credit for initially bringing Firth to his attention. While still working in Trinidad and Tobago, where he was national team coach, Hart recalls getting a video of a player Hunter wanted him to see. “It turned out to be Scott Firth,” said Hart, acknowledging Hunter’s eye for young players with potential. The Wanderers coach is also well aligned with the league’s roster rule, requiring a combined 1,000 minutes during the season for players under the age of 21. “The intention is to ensure young players are not only immersed in the daily training but also allowed to play in a competitive professional environment,” said Hart. Firth is looking to grow and develop as a new professional under coach Stephen Hart. It’s happening at the perfect time for Firth, who has dreamed of playing at the professional level since falling in love with the game as a five-year-old playing for Scotia FC. With no national league to aspire to during his childhood, he thought he might have to move away to achieve that, until the new Canadian Premier League came along. “It’s very exciting, as soon as I heard about the league I knew it was a chance, it’s a new pathway to the top that helps a lot of people to achieve their full potential and get noticed,” Firth said. 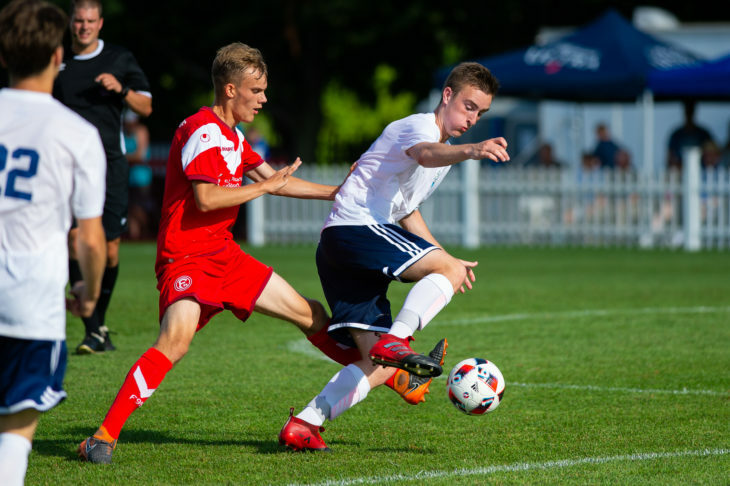 Scott Firth in action for HFX Wanderers Atlantic Selects vs Fortuna Düsseldorf U21 at the Wanderers Grounds last July. That’s when he went for an evaluation in Lisbon with Sporting Club Portugal before landing a one week trial with Benfica’s academy the following year. As a 16-year-old the young midfielder forced his way into Nova Scotia’s U-18 Canada Games squad in Winnipeg in 2017. 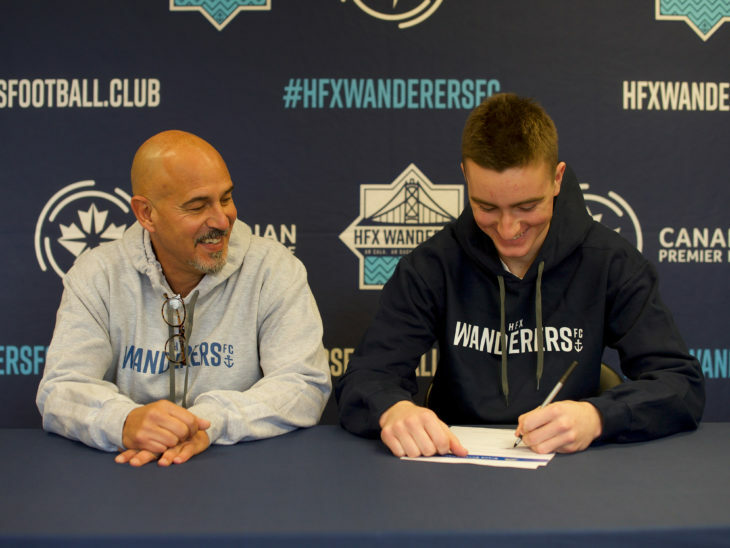 He was also involved in the Vancouver Whitecaps local residency program here in Nova Scotia, prior to earning trials with Toronto FC’s U-20 team last year. His character helped him win the Nova Scotia performance youth player of the year, at the most recent Soccer Nova Scotia night of excellence awards. While other teams have shown interest in his progress, Firth has always dreamed about playing in his hometown of Halifax. “Most of my family lives around here, so they’ll probably make it out to most games. It’ll be awesome being able to play in front of them,” he said, adding he doesn’t feel pressure being the first local Wanderers player, but more a sense of excitement. However, the fact he is a local player is not the reason Stephen Hart is signing him. The Wanderers head coach says Firth has got his chance on merit, as an up-and-coming talent who is “one for the future,” but admits it’s an added bonus that the fans now have one of their own to cheer. “To date he is our only local signing and this should prove popular with the fan base,” Hart said. Firth shown standing third from the left, lining up for HFX Wanderers Atlantic Selects last July. 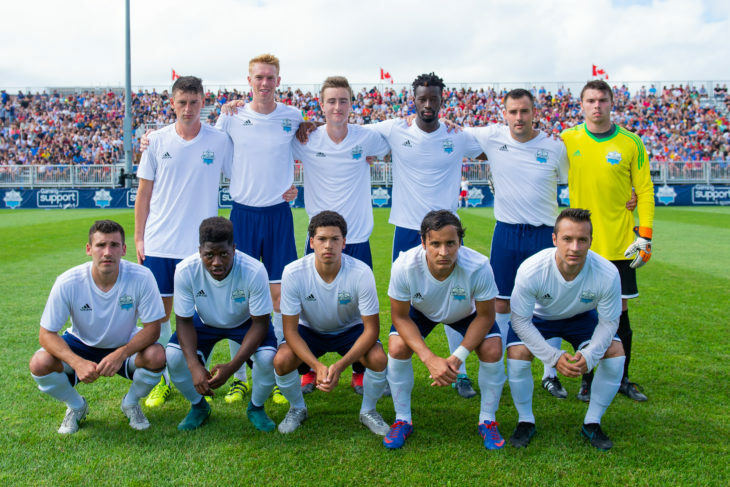 Firth is hoping he’s the first of a number of local players to follow the new pathway from club soccer into the new Canadian Premier League. “It means a lot because not just being local but a role model to other young players to see it is possible to make it here in Nova Scotia,” he said. The Firth signing takes the Wanderers confirmed number of players to nine as Stephen Hart’s squad continues to take shape with the new league kicking off in April. The Wanderers want to congratulate Scott and wish him every success with our team.